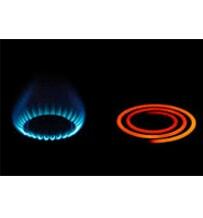 Once you have decided on the fuel type and cooking style you prefer, now pick a size! 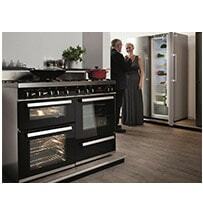 The CDA range of range cookers come in sizes that are designed for every kitchen. 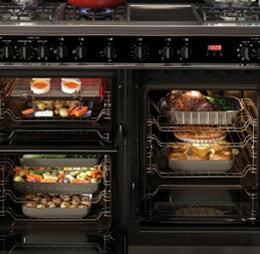 From the enormous RV1200 at 120cm wide to the bijou RV701 at just 70cm there is a model size to fit your design without compromising on cooking performance or a ‘heart of the home’ feel. There is no getting away from it, range cookers are big. If you are looking for everything to be integrated and tucked away in your kitchen, a range cooker may not be for you. 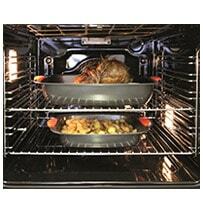 If you currently have a built-in single oven, imagine a range cooker taking up that space plus a full cupboard width. Whilst you are not going to have that extra cupboard space, you will have an all-in-one cooking station that really makes a statement in your kitchen design. Bigger doesn’t always mean better. That’s why we do a range of sizes, from 70cm to 120cm wide so that you can select the ideal accompaniment to your kitchen space and cooking style. 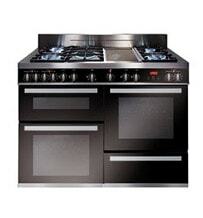 The 70cm is perfect for those who want an all-in-one range cooker style, but in a compact space. Instead of taking up the extra room having the two oven capacities side by side, we have positioned them one above the other and integrated this with a 5 burner hob to create this model. Next along the size scale is the 90cm collection. 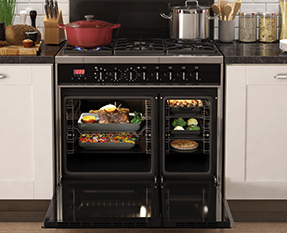 In a 90cm width we have all electric, all gas, or dual fuel options with either one extra-large oven or two oven cavities side by side. This gives you the ultimate choice to decide on your fuel type, oven configuration and hob style but adhere to a 90cm width kitchen space commitment. 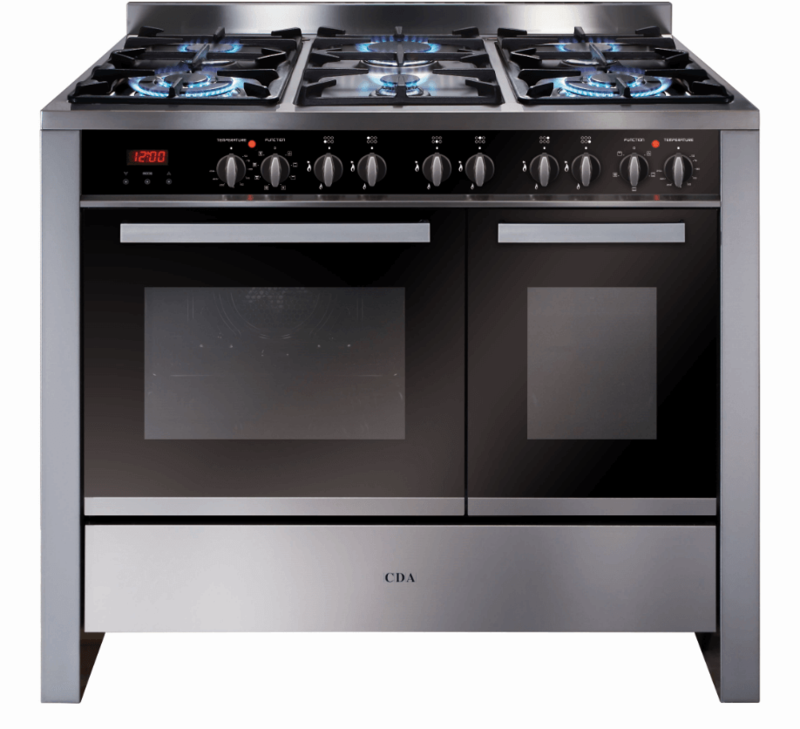 Slightly larger still is our 100cm wide model with a spacious gas hob top and two good sized ovens, plus storage drawer. This gives you room to spread your wings when cooking and, if you have the space, makes a real feature in the heart of your kitchen. 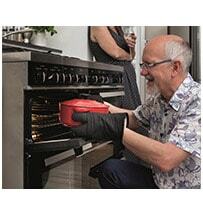 The largest range cooker model we do is an enormous 120cm wide. It is like a professional chef’s cooking station with 5 gas rings, a ceramic griddle plate, 3 ovens and a storage drawer. This model can tackle everything you want to throw at it. Choosing the right size is important because you don’t want it to overwhelm your space. 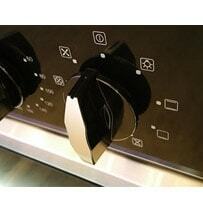 Such an imposing appliance can look great, when the proportions are balanced. Consider the other elements of your kitchen and ideally choose a model that takes up no more than a third of the wall space it is to be positioned against. 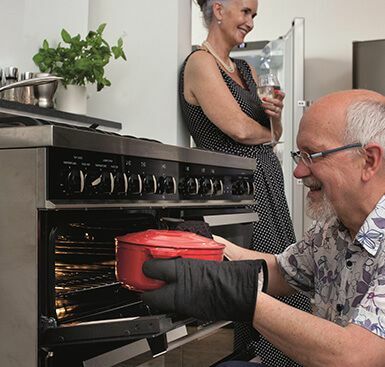 To fit in with your integral design, units, worktops and of course the safety features in your home, we have included height adjustable feet with our range cookers as well as a safety chain that will lock on to the wall behind your appliance for peace of mind.